Pakistan does not have an enviable record in the sciences. The current Nature Index for research output places Pakistan at number 52 – just between Georgia and Bulgaria. However, there is currently a thriving amateur astronomy scene in several Pakistani cities, where the love of the sciences and the joy of sharing the knowledge of the night sky are in full display. Later this month, the various amateur astronomy societies in the country will gather together to launch a new umbrella organisation, The Astronomical League of Pakistan (ALOP). Given the state of the education and the sciences in the country, it is worth exploring the reasons for this unqualified success. 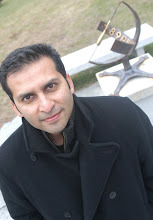 I have been involved with and following the astronomy scene in Pakistan for close to thirty years. I was part of a group of FSc. Intermediate students in Karachi who started Amastropak, the first amateur astronomy society in Pakistan back in 1988. While there were ups and downs in the activities of the society over the years, it could never muster a critical mass of active members, and it eventually shut down in the late 1990s. But now things are different and I have never seen the state of amateur astronomy in Pakistan so lively and so strong. Last month I had the pleasure of meeting astronomy enthusiasts in Lahore and Karachi, and what a treat it was! Both the Lahore Astronomical Society (LAST) and the Karachi Astronomers Society (KAS) boast an active membership of well over a hundred each and they are passionate devotees of the night skies. Most of the members have day jobs unrelated to astronomy, but they squeeze every last second of their free time (or not so free time) for astronomy. All this leads to the question: Why are we seeing such a flourishing interest in astronomy in Pakistan? After all, there is no significant State support for such an endeavor nor are there any organized activities at the school level. I think we can point to several reasons for this success. First, astronomy has an intrinsic broad public appeal. It doesn’t hurt that the spectacularly beautiful photographs from the Hubble Space Telescope garner worldwide attention, and force us, however briefly, to ponder about our place in the universe. Furthermore, science popularizers, such as Carl Sagan and Neil deGrasse Tyson, have globalized astronomical wonder, and their respective versions of Cosmos have been available to television audiences in Pakistan as well. My own path to astronomy was paved after watching Sagan’s Cosmos, when it aired in Pakistan in 1984. Second, the internet provides more than enough free information about astronomy. One of the challenges we had in the 1980s was the lack of astronomy books in our bookstores and libraries. Today, however, you can find not only the latest news about astronomy, but also, if you look carefully, detailed lessons about the foundations of astronomy online. 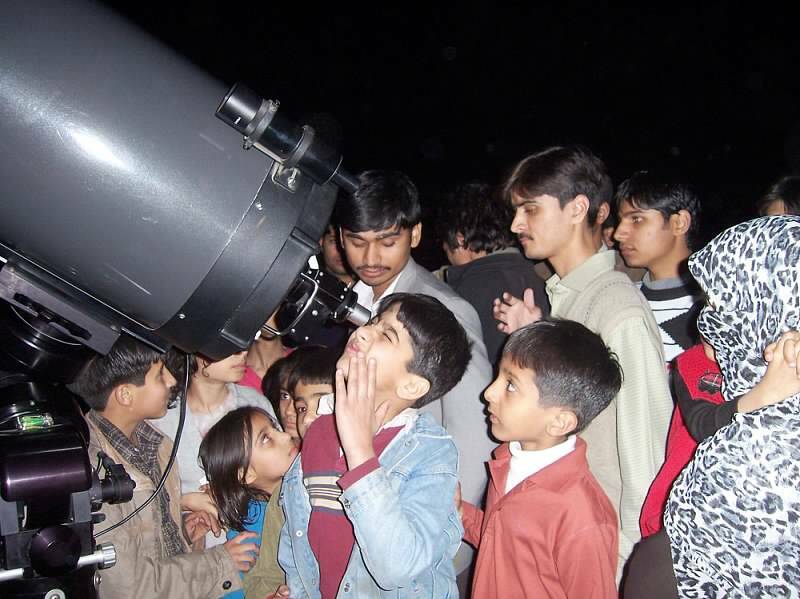 The availability of telescopes in Pakistan has allowed people to go beyond simply learning about the skies from books, and gain practical experience. You can appreciate all the beauty of Saturn’s rings, taken by orbiting spacecraft, on your computer screen. But a glimpse of the rings through even a small telescope is a transcendental experience. If the government can make the import of telescopes and related accessories relatively pain-free, we may see a whole new generation of science and astronomy enthusiasts in the country. Perhaps the biggest reason astronomy is flourishing is that there is now a committed community of astronomers around and they are eager to spread their own knowledge and passion. This community did not materialise overnight. No one guided the process. No one pressed for any direction. But there has been a thread of continuity, sometimes tenuous and sometimes strong, over the past three decades, and it is that thread that provided comfort in knowing that are others who share common interests across local space and local time. And if you are interested, the Astronomical League of Pakistan (ALOP) is holding its first symposium in Lahore on September 24th.